You can purchase the book from the list below. 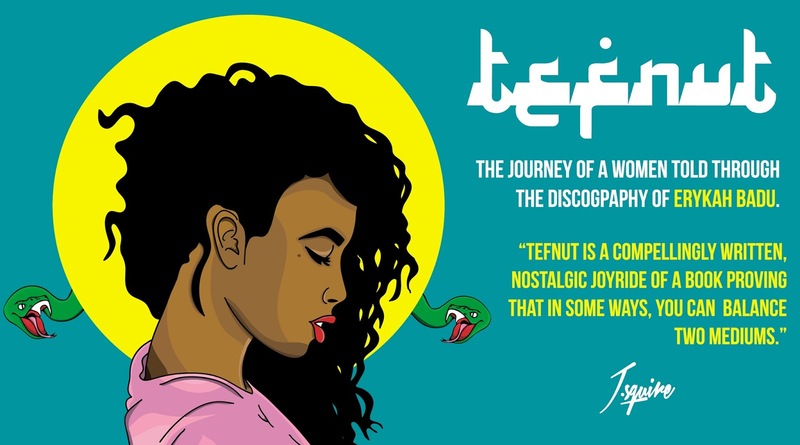 Tefnut tells a story of a young woman coming into her own, in this world. “That’s when he took my heart in his hands . And kissed it gently . He open up his lips then said this poetry” with Erykah Badu’s discography serving as the narrative. It propels the story to heights never seen before in literature. Never finding dull moments, but enlightenment on every page. Erykah has voiced that she likes seeing interpretations of her music. Here’s one for the book lover and the music enthusiast in you.Javaris Squire tells the story in a way that only he had envisioned it. 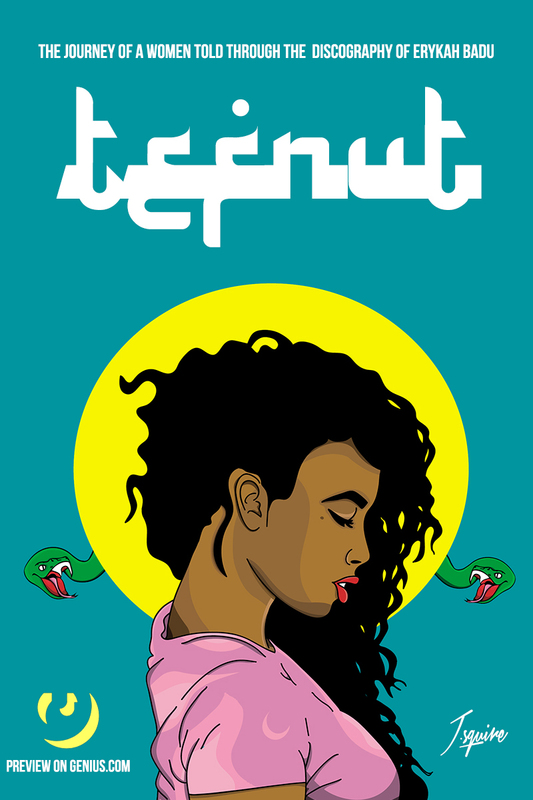 The story taps into the animalistic way of digesting quickly; while giving the reader enough to satisfy their hunger. You can read the first chapter for free on Genius. "3:30am"